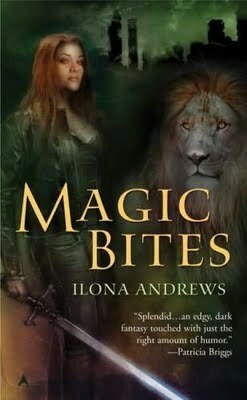 Available as FREE download from Ilona Andrews Website for 2 weeks from Christmas Day, this novella takes place at the same time as Andrea’s book, right after MAGIC SLAYS, and the two stories intersect. A dinner date after a hard day at work sounds heavenly. 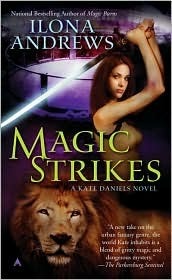 Of course, when that date is between the Beast Lord and Kate Daniels, things don’t go as planned. Before you know it, undead are running amok, heads are being chopped off, lawyers are deployed and used with extereme prejudice, and drunk vikings are calling people out. 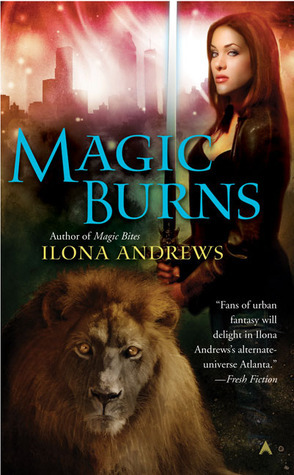 First, before I even start go ahead and scroll back up…awesome Urban Fantasy cover right?!?! If you have not read this series don’t start here! 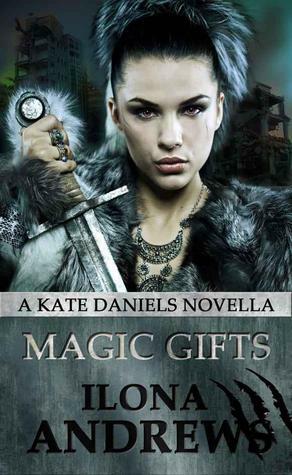 The Kate Daniels series is awesome and well worth the first five reads. My absolute favorite part of Magic Gifts was all the banter between Kate and Curran. I don’t know if it was just me, but I was laughing out loud, they where hilarious. I ate up their back and forth antics (like all the Christmas candy I’ve been eating) like there is no tomorrow. 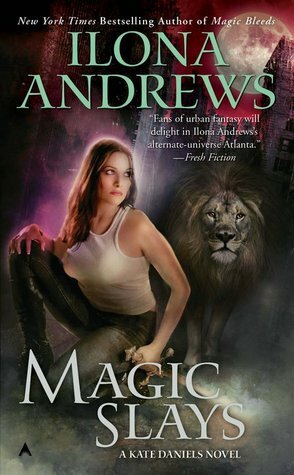 I am even more excited for Gunmetal Magic which is Andreas book, and is set to release August 2012. Older Teen and up: For language, and violence. 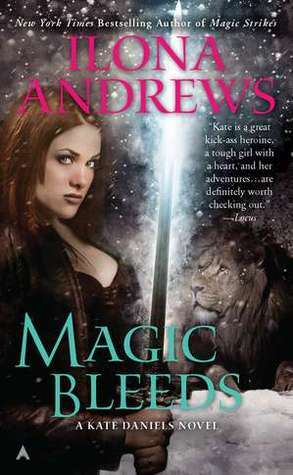 Click cover image to go to Goodreads page. This looks SO AWESOME! I'm already beyond excited for Andrea's book. I have a feeling this is going to make me even more impatient!